Good morning!!! Pam here today sharing an easy Fall Wreath created using the Pleasant Collection! 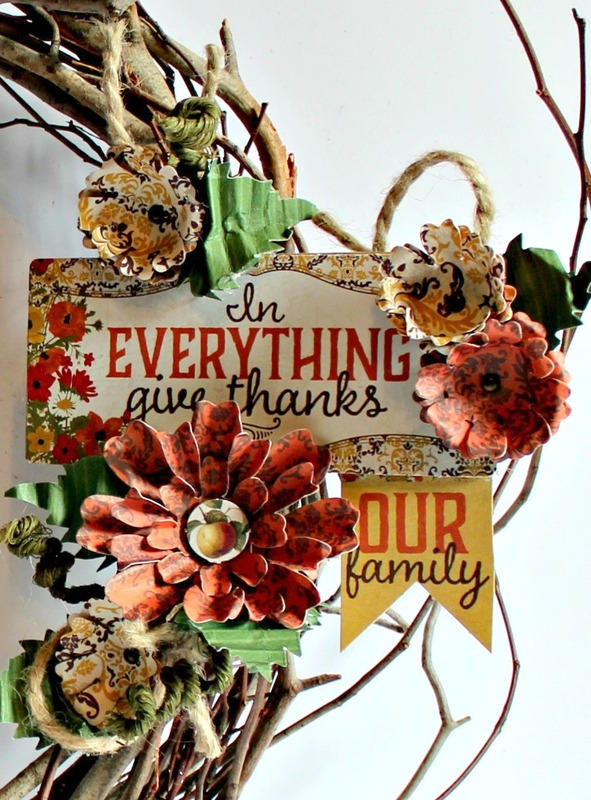 I will share how to create paper flowers but if you aren't in the mood to make flowers well... just grab some fall flowers and foliage at your local craft store. I am sure it will be beautiful! 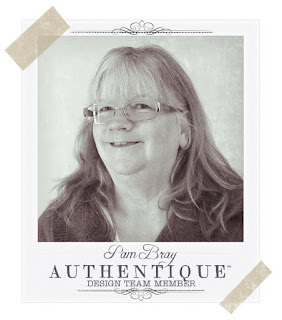 Emboss chipboard with Dragon Egg Magical Mysteries Embossing Powder using embossing ink and embossing gun. Adhere to top of Pleasant pattern paper. Fussy cut 2 of the owls from the pattern paper; layer together with pop dots. Adhere to front of prepared chipboard. Add to top of wreath. Adhere prepared largest flowers to top of chipboard piece. Add small Pleasant Elements to center of each flower with pop dots. Roll small flower pieces with stylus and tweezers. Layer together with brads. Adhere smaller flowers and pieces of circle jute to the front of wreath. 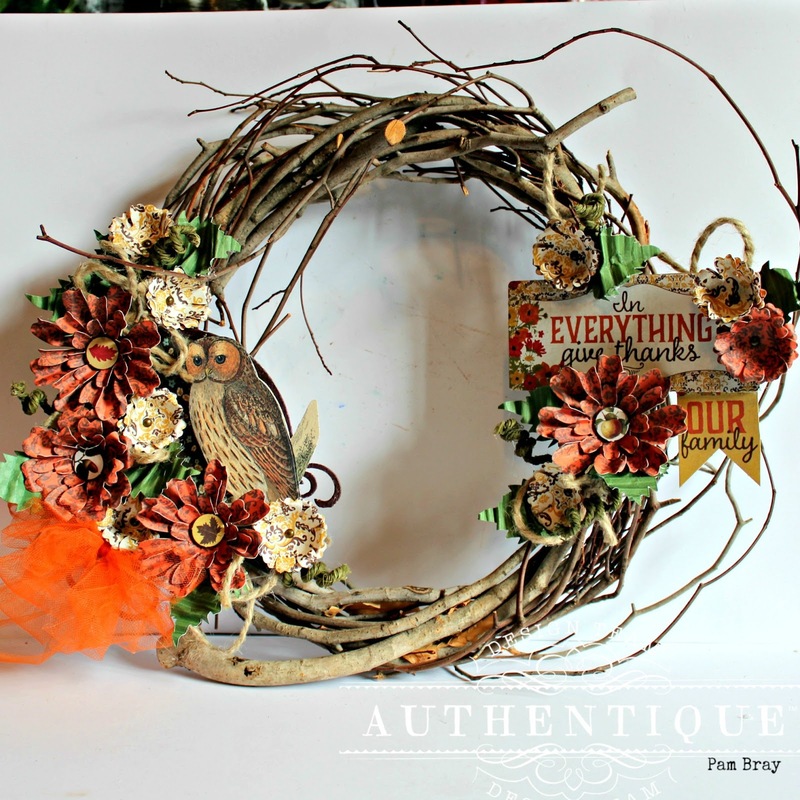 Add orange tulle bow to wreath. 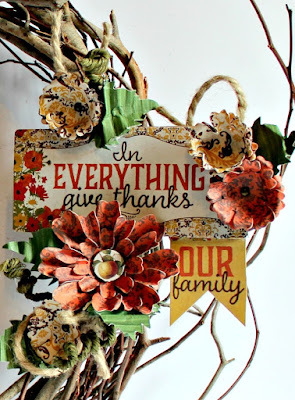 Adhere "In Everything Give Thanks" Pleasant Element to chipboard. Adhere to wreath along with flowers, leaves and jute circles.Adhere "Our Family" Pleasant Element behind chipboard to finish wreath.